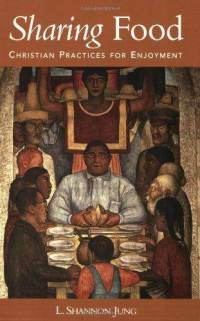 Food, Faith and Feasting: Books about faith and food. I have often been struck that in the days after the resurrection of Jesus from the dead his biographers wrote about several meals. 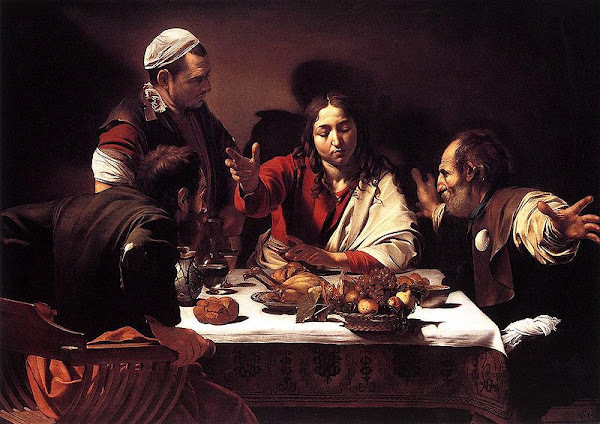 The famous epiphany during the breaking of bread, of course [shown here as imagined by Caravaggio] but also a middle eastern breakfast of fish on beach. This reminds me once again that the resurrection was bodily—a theme developed by authors like Brian Walsh who I reviewed in the long piece over at the April column and, of course, by N.T. Wright, among many others. Dualism between the so-called sacred and secular realms, or, worse, sly, modern versions of the heresy gnosticism, will not do. Matter matters (“God quite likes it,” C.S. Lewis has wryly noted, “He made it.”) and this new creation that has broken into the old order includes human, creaturily stuff like preparing and eating (and, I suppose, cleaning up after) meals. I hope your Easter feast last week was in some way a reminder of and witness to the goodness of a creation that is now being redeemed by the Risen Lord. Just as being a foodie is sort of trendy right now and the Food Channel has created a whole new genre of rock star—the celebrate chef—so thinking theologically about food and eating is also au courant. It isn’t new, of course, but there have been some great books released in recent years. I’ve highlighted some of them here before but thought it would be fun—for my friends at church and in the spirit of what the creeds have taught us to insist upon, “the bodily resurrection”—to do a food list. You can order these at the discounted prices by using the order form below. Some of these titles were previously annotated in a chapter in a book to which I contributed called Eat Well: A Road Map, edited by Kirsten Vander-Geissen-Reistma (*cino; $8.00.) It is a splendid little volume, a companion to their equally nice little book, Doing Justice: A Roadmap (where I also did a chapter which was another bibliography.) There are short stories and essays, and a truly great piece by Sylvia Keesmaat, another by a favorite writer, Denise Frame Harlan. The editor, Kirsten, also edits the online zine catapult and is herself a fabulous cook and a fabulous writer, so her contributions in the book are dÃ©licieux. This Sunday school class is just one example of a larger trend in our culture, a good and healthy interest in sustainable agriculture, organic food, how animals are treated, how land is farmed, buying local, and caring about nutrition and fresh food, creatively and aesthetically prepared. I will review it in great detail later, but I just finished a truly spectacular paperback, Making Peace with the Land: God’s Call to Reconcile with Creation by Fred Banson and Norman Wirzba (IVP; $15.00) which offers an excellent overview of how the Bible teaches that the reconciliation Christ brings includes not just our renewed relationship with God and each other, but with the creation itself. Forgive my pun, but such is the soil from which any discussion of eating and food can grow — we can envision more meaningful meals because of what Christ has done in restoring His good creation. It isn’t surprising that a common Scriptural metaphor for the new creation is a banquet, or a feast. Nice, huh? We’ve celebrated this trend and have offered books along these lines for years. Although I suppose some Christian bookstores don’t have sections on creation-care or even cookbooks, I sure can’t imagine why. There is a lot in the Bible about food and feasting, about farming and famine. We simply must allow our faith to inform our principles and practices in this side of life. After all, as the Apostle Paul says, we are to “eat to the glory of God.” Edith Schaeffer hinted at this years ago in a lovely book The Hidden Art of Homemaking (Tyndale Publishing; $12.99.) which invited us to consider the importance of beauty in ordinary life (and she had a chapter on food!) We still stock it. She may have been an early voice helping evangelicals, at least, see that home-making and cooking and sustaining a household with creativity is serious, spiritual business, a human art, to be offered in hospitality to our loved ones, neighbors, and even strangers. To remind us of this reality–that we can enjoy the goodness of food, but must be aware that there are those who have little food, and that even those who help us get our food themselves cannot afford much of it— here is a prayer prayed at a grocery store protest in a recent campaign to get that grocer to work with a union of migrant workers–not unlike the famous United Farm Workers founded by Cesar Chavez. 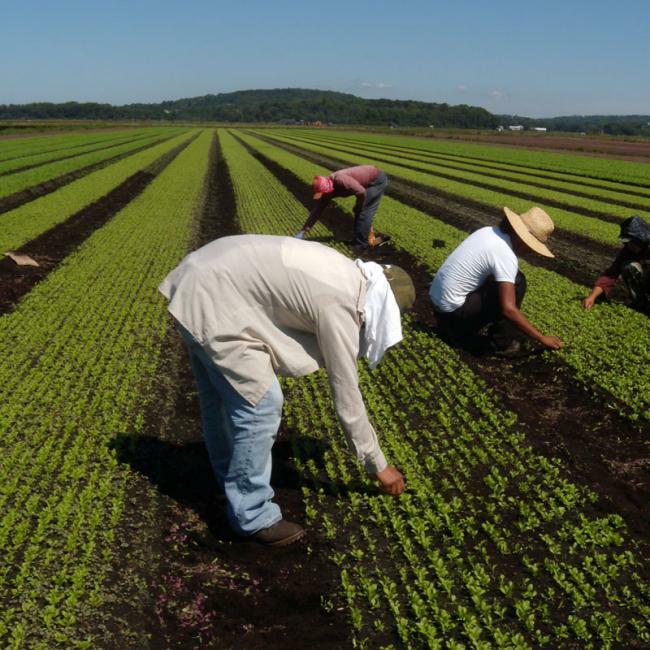 Here is another article about the Immokalee Farm Workers and how some faith leaders have affirmed their desire for food justice. I am deeply moved by this, and sad that some conservative Christians have made light of it, or disapproved. Perhaps they’ve never actually talked to a hungry person before, or met a migrant worker family. Or read Isaiah or Amos or James. But I digress. Maybe this list will be of some help to enhance your understanding of the urgency and joy and irony of this recent foodie movement. (The irony being that so many cannot afford these very good gifts of raw milk cheese or high end vinegar or even fresh produce, for that matter.) The first part of the list brings specifically Christian insights to the goodness of food, even in a fallen world, while the second half includes more general concerns by fine social critics, chefs, food writers and farmers and they help us take steps towards reforming our own shopping and eating habits, and perhaps bring just reforms to the food system. Enjoy! Food & Faith: Justice, Joy and Daily Bread edited by Michael Schut (Living the Good News) $14.95 If one were to buy one book on this essential topic, this may be our first recommendation. A lovely companion to Schut’s ecumenically-minded, Simpler Living, Compassionate Life, this collection includes essays or excerpts by Wendell Berrry, Thomas Moore, John Robbins, Marion Nestle, Eric Schlosser and so many more. It includes readings on the celebration of food, health and diet, politics and economics. It has some lovely reflections on the spirituality of food, essays on agriculture and land use, family farms and sustainable, local economies. It looks a bit at world hunger, and ends with stories of hope, suggestive of ways to renew our eating attitudes and habits. There is a fabulous study guide in the back, making this a fabulous resource for book clubs or small group reflection. The Supper of the Lamb: A Culinary Reflection Robert Farrar Capon (Modern Library) $14.95 This book is so insightful and beloved, it has been cited in a Reformed theology class, and in gourmet foods cooking classes, and is regularly anthologized in great writing about food. Capon is feisty Episcopal priest and an excellent wordsmith (a prolific author) and a great cook, too, making this book a true classic. This recently re-issued paperback edition is very nice. As The New York Times Book Review said, it is “as awesomely funny, wise, beautiful, moving, preposterous a book as this reviewer has come across in years…It is a love letter to a world that “will always be more delicious than it is useful.” Capon uses this narrative of cooking a leg of lamb meal for a group of friends as a platform to wax eloquently on everything from the kind of knives one must have in the kitchen to the sheer, God-given wonder of an onion. Glorious. adult Sunday school class or Bible study group. Food and Faith: A Theology of Eating Norman Wirzba (Cambridge University Press) $24.99 What an amazing book! This is a recently released, major theology of eating–a long overdue masterpiece, but it is pretty dense. You’ve heard of “slow food?” This is slow reading! And that is a compliment, of course, but it is demanding theology, most likely the best substantial work on this topic yet done. I think his Living the Sabbath Life: Discovering the Rhythms of Rest and Delight (Brazos; $20.00) might also be really useful to approach this topi;, although it is morally serious, it is not quite as dense as the new one. Unlike most books on sabbath, it explores the lifestyle of non-consumeristic, normative, sustainable living, rejecting the go-go-go of consumerism and the American way, taking sabbath principles into how we think and live, how we think about education, about agriculture, the ways we shop and eat and play. So while he does teach about sabbath, it is about jubilee and freedom and alternative living more than just spirituality and rest. Obviously, it is an important foundation for his new Cambridge volume which is more precisely on food. Eating and Drinking Elizabeth Groppe (Fortress) $15.00 This little book is a serious study, despite it’s slender size and chatty style, exploring the ways in which profoundly construed Christian theology might shape our daily experience of meals. This “compass” book takes its place next to others in the series, serious books, briefly written, on work, play, shopping and parenting. Groppe is an Associate Professor of Theology at Xavier University (although the whole series is edited by David Jensen at Austin Presbyterian Theological Seminary.) There is an alarmingly bad sentence about her experience of coffee, but once I got over that, and realized she had some sort of sacramental view of creation, I realized that this more contemplative consideration was well worth reading. All five of these rigorous, small books are provocative and timely, written by authors deeply aware of the need for serious social criticism. Impressive. Good Eating Stephen H. Webb (Brazos) $21.99 The first in the highly regarded “Christian Practice of Everyday Life” series, Webb asks distinctively theological questions about food, vegetarianism, animal rights, fasting and more. Historical insight, helpful ponderings and thoughtful reflections rooted in Biblical study. As we know more and more about the ugliness of factory farming and such, this is a serious, good study at the ethics of eating. 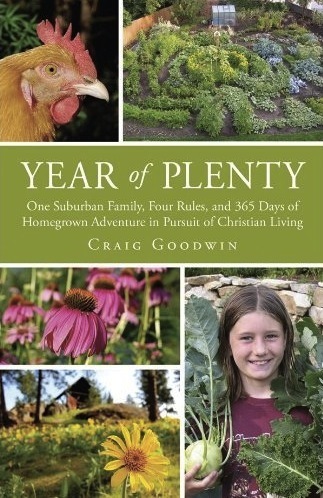 The Year of Plenty: One Suburban Family, Four Rules, and 365 Days of Homegrown Adventure in Pursuit of Christian Living by Craig Goodwin (SparkHouse) $12.95 For a fun and very readable memoir, I’d really, really recommend this, which I have happily promoted before, giving it a rave review! This is the story of a Presbyterian pastor (a Fuller grad) and his family trying to grow their own stuff and buy local for a year. He cites lots of interesting authors, narrating his own study and journey into increasing faithfulness in this side of life. I love that he describes books by Ron Sider, Wendell Berry, Scott Sabin, Richard Mouw and of course essential titles like The Omnivore’s Dilemma by Michael Pollen and the beautifully done literary memoir of local farming by Barbara Kingsolver (Animal, Vegetable, Miracle.) Because it is overtly Christian and intends to be somewhat educational, it is a perfect choice for faith-based reading groups, adult ed classes and the like. Craig Goodwin writes a popular blog that focuses on food, faith, and justice in the rich agricultural region of the Inland Northwest. His family’s story has been featured on NPR, PBS, and in The New York Times. He is a Presbyterian pastor, a farmers’ market manager, a master food preserver, and a fire chaplain and his book is a real gift to us all. Buy a few and spread the news. A Meal With Jesus: Discovering Grace, Community and Mission Around the Table Tim Chester (Crossway) $14.99 This is a fantastic book, a six-chapter study which takes a serious, happy look at Jesus and his meals, bringing his table fellowship into the conversation about hospitality, dining, feasting and such. This is obviously more a small group Bible study sort of book (it would make a great class or sermon series) than a reflection on localism, free range beef, or the health benefits of eating well, but it will appeal to anyone who understand that “food connects” (as he puts it.) This is getting rave reviews from those, like in the Gospel Coalition, who have used it. Chester himself is an urban church planter and knows how eating together can be foundation for very significant ministry. We are thrilled to see such a sound, evangelical work on this fun and fruitful topic. Highly recommended. Soul Banquets: How Meals Become Mission in the Local Congregation John Koenig (Morehouse) $15 Koenig has thought long (and published before) on the implications of a eucharistic worldview. Here, he offers local congregations a very practical book about outreach, sharing meals, and other related food concerns. Very useful. 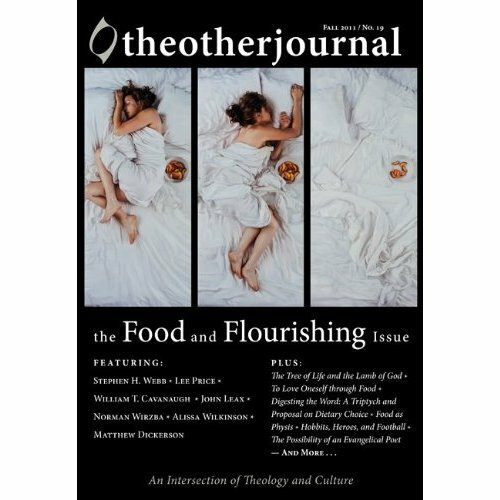 The Other Journal: The Food and Flourishing Issue (Wipf & Stock) $18.95 The Other Journal is a remarkable, curious, fascinating, theological journal that focuses on all sorts of issues—and they occasionally republish their special editions in bookish form. This one has poems and theology, essays and stories, from authors such as Comment magazine editor Alissa Wilkinson, Stephen Webb, Norman Wirzba, poet John Leax, Elizabeth Antus I(who does a very interesting study of the important work on eating disorders by Geneen Roth.) What an amazing collection. the community of those who understand the connections between field and table. There are some splendid portions of novels, here, too, making this a lovely, multi-dimensional way in to this vital topic. Includes a nice introduction by Michael Pollen. Making Supper Safe: One Man’s Quest to Learn the Truth About Food Safety Ben Hewitt (Rodale) $24.99 You may know this author for his splendid book The Town That Food Saved. Like that one, this is full of characters, strong on story-telling, and a stunning achievement in doing muck-racking expose journalism without making us overly depressed or cynical. He is, as one reviewer in The Atlantic wrote, “an amiable skeptic and a storyteller of rare skill who seems incapable of crafting a dull sentence.” We understand that it is stressful to think about factory farms and pesticides and a bit disappointing to learn even more about the dangers of the pseudo-foods we often enjoy. Still, if this is a wake-up call, it isn’t that hard to swallow. It offers a better way. I moves from a critique of the mega-corporations and broken food system to a more wholesome and sustainable and joyful way to buy and eat our daily bread. As farmer Joel Salatin says, “read this before your next bite!” (Speaking of Joel Salatin, who you may recall from being featured in Pollen’s Omnivore’s Dilemma and in the documentary “Food, Inc.” his long-awaited book came out in October 2011. I mention it below. Food, Inc: How Industrial Food is Making Us Sicker, Fatter, and Poorer—and What You Can Do About It edited by Karl Weber (Public Affairs) $14.95 What a feast of a book this is, with chapters by Eric Schlosser, Michael Ppollan, Marion Nestle, Anna Lappe, Joel Salatin, and more. It is a “participant guide and companion to the acclaimed film. Food Rebels, Guerrilla Gardeners, and Smart-Cookin’ Mamas Mark Winne (Beacon Press) We are glad this just came out in paperback as it, too, is a must-read if one is to grow in more profound awareness of this new trend, how to resist the deformation that agribusiness has caused, and ways people are forming genuine alternatives. Here is a great video clip of Winne speaking about his new book and how we can be empowered to be more involved in the matters of our lives. Helps us fight back in the age of industrial food systems. Very inspiring! Closing the Food Gap: Resetting the Table in the Land of Plenty Mark Winne (Beacon Press) $16.00 Winne is a must-know author, a fine and passionate writer who explores how the recent foodie interest in farmer’s markets, organics and sustainable co-ops and such tends to fail the poor–many who most need more viable options for food purchases–remain “under-served.” This new healthy trend makes us glad, but this major gaffe must be addressed, and Winne shows us how. Excellent. Fair Food: Growing a Healthy, Sustainable, Food System by Oran Hesterman (Public Affairs.) I briefly reviewed this in Capitol Commentary (the weekly of the Center for Public Justice) and couldn’t say enough about it. This is a spectacular new hardback that studies the problems of our food system and offers the sorts of alternatives that Winne describes. Yet, this is more thorough, more systematic, more behind the scenes examples not just what “smart cookin’ mamas” are doing, but how major business executives are attending to their supply chains, learning about the global economy, and working for helpful changes that will offer better food to more people and cause justice to be seen in the local farming communities that supply the food. This is amazingly hopeful and shows in powerful ways how to move towards solutions and new just ways of working the food system. Dr. Hesterman is himself a scientist (agronomist) and has years of valuable experience from which we can be inspired and informed. He knows who is doing what and how to create more sustainable businesses. Here is a trailer for the book. Learn about his Fair Food Network, here. Growing at the Speed of Life: A Year in the Life of My First Kitchen Garden Graham Kerr (Perigree) $18.00 I trust that you saw my rave review of this last year. Kerr, you may recall, was the “Galloping Gourmet” and pre-figured the current phenomenon of the rock star TV chef. He got drunk on the air, was remarkably wasteful, and, when that proved disastrous, he found a relationship with Christ, changed his eating and cooking and writing, and now does responsible, wonderful work on food and nutrition. This is his first “field to table” book, learning to garden and cook what he grows. Very nice, full of stories of gardening and of cooking, including recipes. What a great example of a life transformed, offering new ways to life joyfully, faithfully, simply. Folks, This Ain’t Normal: A Farmer’s Advice for Happier Hens, Healthier People, and a Better World Joel Salatin (Center Street) $25.99 I just raved about this last year, and named it as one of the Best Books of 2011. What a fun and funny author, a religious man who has done organic and natural farming for years. A truly interesting man by a hero of contemporary farming—offering up righteous ecological concern and better flavor, too. The American Way of Eating: Undercover at Walmart, Applebee’s Farm Fields, and the Dinner Table Tracie McMillan (Scribner) $25.00 Many of the books on this list expose the dangers of our industrialized American way of eating, laying bare the stupidness of our food system and warning of the dangers of toxic pesticides and harmful practices. This book does this an more, reporting from those who work “at the bottom of the food chain” from migrant laborers to restaurant staff to grocery store produce workers. There is courage and compassion here and some great writing. We have always known that justice for farmers, food workers, and consumers are related, and now we can feel it in our bones. What a book! ual significance of food’s pleasures and providence. Comfort Me with Apples: More Adventures at the Table Ruth Reichl (Random House) $14.95 I cannot tell you how I enjoyed this spicy memoir of a famous food critics early years, leaving a hippie whole-foods commune for a job doing restaurant reviews for Gourmet magazine. She travels all over he world, her marriage comes undone, she meets everyone from M.F.K. Fischer to Alice Waters and Wolfgang Puck, and tells it with tender eloquence and splendid detail. The Tenth Muse: My Life in Food Judith Jones (Knopf) $24.95 Jones was undoubtedly the most important cookbook editor of our time, and her friendships with everyone from Julia Childs to James Beard–and her many years in one of the most prestigious publishing houses afforded her opportunity to work with some of our era’s most esteemed authors, makes her a very important figure in food culture. Here, she passionately decries the trends of mediocre home cooking, set among fabulous and sometimes surprisingly eccentric stories. Animal, Vegetable, Miracle: A Year of Food Life Barbara Kingsolver (HarperOne) $15.99 What a wondeful book, excellently told, a full-length memoir by the respected novelist and essayist, about her family’s experiment in eating only food that they grow themselves on their Appalachian farm. One of the most popular books of recent years, a bell-weather in many ways! Stations of the Banquet: Faith Foundations for Food Justice Cathy C. Campbell (Liturgical Press) $19.95 A fairly serious theological study, the subtitle helps us understand the Scripture-based nature of this work: “Faith Foundations for Food Justice.” Offers various virtues that emerge from Biblical “table etiquette” which helps us work for food security in a hungry world. The Hungry Soul: Eating and the Perfecting of Our Nature Leon R. Kass (University of Chicago Press) $19 A stimulating, serious treatise on the anthropology and ethics of eating by a renowned Roman Catholic ethicist. A broad-ranging philosophical inquiry, what one scholar called “an intellectual feast.” This will make you think! The Meat You Eat: How Corporate Farming Has Endangered America’s Food Supply Ken Midkiff (St. Martin’s Griffin) $13.95. This troubling expose–with a helpful forward by Wendell Berry—won a “Best Book” award from the San Francisco Chronicle. Although bleak in it’s documentation of modern livestock farming, it offers hopeful alternative actions consumers can take. The Revolution Will Not Be Microwaved: Inside America’s Underground Food Movements Sandor Ellix Katz (Chelsea Green) $20. Katz has written on the flavors and nutrition found in “live-culture foods” and reports here on the political culture of food activism. From bread clubs to the raw milk underground, grassroots activists come to life as they expose the dangers of commercial-produced food. Fascinating. Hopes Edge: The Next Diet for a Small Planet Frances Moore Lappe & Anna Lappe (Tarcher) $14.95 Lappe’s 1970s bestseller, Diet for a Small Planet nearly defined an era, and introduced whole grains and social justice to North American readers, helping us realize the relationships between our eating and global issues. This inspiring book further explores global connections with exceptional care. Includes some recipes from ecological culinary pioneers like Alice Waters and Mollie Katzen. Food and the City: Urban Agriculture and the New Food Revolution Jennifer Cockrall-King (Prometheus Books) $21.00 Bill McKibben notes that “All over the world I’ve watched urban dwellers begin to figure out that they can start growing food, too. It’s one of the loveliest trends on earth, and Jennifer Cockrall-King does a fine job of captures its tremendous growth.” From community gardens to backyard bees, this small-scale urban farming story is fascinating. The Real Food Revival: Aisle by Aisle, Morsel by Morsel Sherrie Brooks Vinton & Ann Clark Espuelas (Tarcher) $15.95 This really is an A-to-Z guide for understanding and navigating the jargon about and the hidden dangers of the industrial food system. This really does help you take practical steps to learn how to find real food, to resist the chemical junk, and to resist the hazards of GMO foods, toxic residues and other sorts of “pink slime.” Very helpful. Organic Manifesto: How Organic Food Can Heal our Planet, Feed the World, and Keep Us Safe Maria Rodale (Rodale Press) $14.99 Even if the subtitle is a bit overstated, this is a masterpiece breakthrough book, drawing on updated health data and riveting reporting about the dangers of pesticides and herbicides. With Monsanto continuing to push “roundup ready” crops, it is more urgent then ever to understand which are the most deadly chemicals and which in which foods they are most commonly found. Very important. Harvest for Hope: A Guide to Mindful Eating Jane Goodall (Warner) $14.99 The renowned conservationist here offers a guide to various food issues, global concerns, the dangers of abusing our land and seas, and how to support family farms, etc. Inspiring anecdotes, global insights, practical guidance. ourney Through the Chocolate Underbelly of America Steve Almond (Harcourt) $13 One of my all time favorite books, this is a gonzo memoir of a road-trip to visit the best (and most likely failing) independent candy makers in the country. Hilariously written, a tribute to locally produced and spectacularly tasty candy, by a great writer with a very serious jones for the sweet stuff. As fun and interesting as this is, it ends up with a lot to say about local, indie companies, supporting local businesses and the importance of keeping things like heirloom seeds around. Except he isn’t talking about seeds, but Mallo Cups and Chick-O-Stick. You’ll enjoy this, I promise! Here is a quick little video clip from our local York Daily Record about the Healthy World Cafe some friends just opened. It is a restaurant that buys all local, really healthy stuff, and is a “pay as you can” sort of deal — serving the underserved and others, by working with local farmers, and using a lot of volunteer help. Those who can’t pay are invited to help volunteer. We’re starting small but hope to blossom. What a great step by some good folks.